John Donne (1572-1631), Poet and divine. Sitter associated with 21 portraits. Unknown English artist. Artist associated with 13 portraits. This portrait presents Donne in the guise of a brooding, melancholic lover. The inscription around the oval ‘O Lady, lighten our darkness’ is a deliberate misquotation of Psalm 17, and implies the cause of Donne’s misery is a woman. Donne bequeathed this ‘picture of mine ... taken in the shadows’ to his friend Robert Ker, later 1st Earl of Ancrum (1578-1654). The Nine Years War begins in Ireland. The Earl of Tyrone leads an uprising against the Protestant Queen Elizabeth I. He appeals to the Catholic Philip II of Spain for assistance. Spanish ships land in Cornwall sparking fears of a new Armada. They burn Penzance and Mousehole but then flee. The Jesuit poet and Catholic martyr Robert Southwell is executed for treason. His Saint Peter's Complaint and Other Poems is posthumously published. Sir Walter Ralegh sets out on a voyage to Guiana (now Venezuela) to find the mythic land of 'El Dorado' where there was said to be large amounts of gold. His search is unsuccessful. Sir Francis Drake sails for the West Indies. William Shakespeare writes Romeo and Juliet and A Midsummer Night's Dream at about his time. 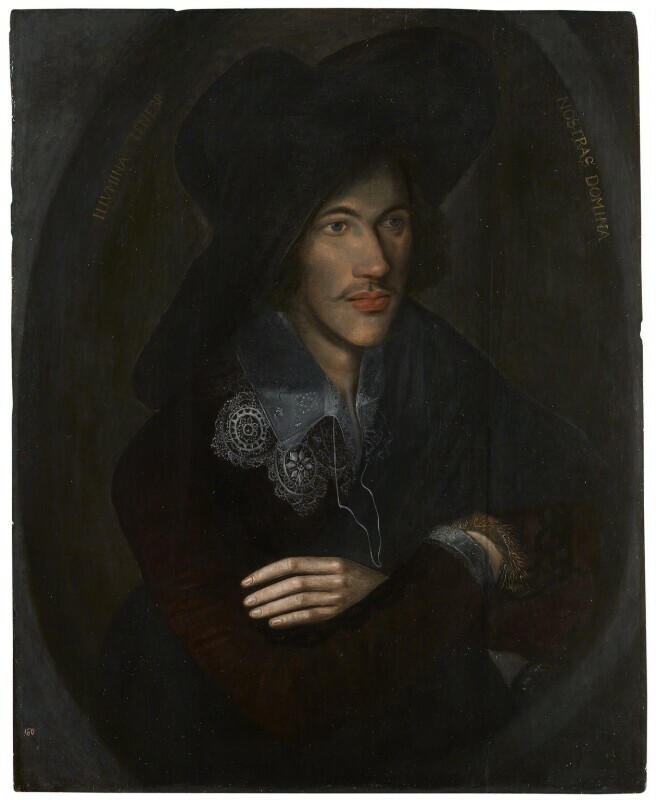 Portrait of the poet and clergyman John Donne is painted at about this time. Battle of Fontaine-Française- Henry IV of France defeats the Spanish army and the remnants of the French Catholic League under Charles, Duke of Mayenne. Sigmund Báthory, Prince of Transylvania and Michael the Brave, Prince of Wallachia defeat the Ottoman army at the Guirgevo (in present-day Romania). Mehmed III succeeds Murad III as Sultan of the Ottoman Empire.